Fernando Crespo Nuñez leads and supervises all of Newlink Argentina’s creative services as Group Creative Director. Focusing on the strategic component of the creative work, he ensures that the services Newlink offers its clients go beyond the freshness of a “good idea” for a specific campaign or ad spot. He has a talent for identifying a shared purpose and aligning the creative area with the client’s values and objectives. Fernando brings to Newlink a track record in the industry dating back more than 20 years. He has broad experience at internationally renowned agencies such as J. Walter Thompson and McCann Erickson (where he was named creative director at the age of just 27). But the independent path he subsequently forged in the BTL and digital world also gave him a broad-based vision of the communications universe. Over the course of his career, he has developed strategies, concepts, and campaigns for clients such as Unilever, General Motors, Exxon, Coca-Cola, Reckitt Benckiser, Aerolíneas Argentinas, Barrick, Kraft Foods, Arcos Dorados, and Citibank that have targeted local and regional markets as well as the U.S. Hispanic market and Spain. 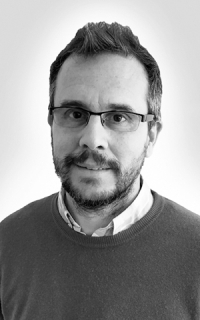 Fernando has a degree in social communication from the Universidad del Salvador and also studied art direction at the Escuela Superior de Creativos Publicitarios and copywriting at the Argentine Advertising Association (AAP). He has won various national and international awards.